Backtracks is AC/DC’s second compilation, and the first to include anything from the post-Bon Scott era. There are a lot of rarities out there in the AC/DC catalog, thanks to an abundance of B-sides, cut tracks and “international” editions of their records, which in the past routinely featured different tracks than the Australian editions. And while Backtracks does a great job of collecting all those rarities, the quality of said rarities is a little lacking. While some of the lost cuts are great, such as the rollicking “R.I.P. (Rock In Peace),” most were buried for a reason. “Love Song” is just that, a love-dovey ballad that is the thematic opposite of nearly every other song AC/DC ever recorded and other Oz-only tracks like “Fling Thing” and “Stick Around” aren’t as bad, but they’re entirely forgettable. Some later-era stuff is here as well, and it holds up a bit better. The Blow Up Your Video B-side “Borrowed Time” is actually better than most of the tracks that made that album, and then there’s “Big Gun,” the standout from the excellent “Last Action Hero” soundtrack and probably one of the last truly great songs the band released. The live disc is good, but is nothing that the stellar AC/DC Live didn’t already do better, and the music video DVD should really appeal to completists, literally in fact, as it completes the “Family Jewels” DVD collection that first came out in 2005, picking up where that set left off with the video for “Big Gun” and ending with Black Ice clips “Rock N Roll Train” and “Anything Goes.” Watch and be amazed that an AC/DC video from 1991 and an AC/DC video from 2009 are nearly identical, the only things that have changed are softer focus and kinder lighting. Aptly priced at $16.66, Bozza’s tribute to the “greatest living rock band” is packaged like any of a million little impulse-buy, gift books that clutter the front counters of chain stores and independents alike. Unlike those books, which tend to be scant collections of unfunny jokes, sappy homilies, or sound-bite life instructions, Bozza has written a fiery, fast paced, aggressively written love cry to one of the most indestructible and eminently powerful rock bands ever. Like AC/DC itself, Bozza’s writing is both straightforward and accessible, while challenging in its condemnation of rock criticism in general and unquestionably catchy as any good story should be. His introduction is as short and hard-hitting as the intro to Back in Black, quickly setting down the purpose behind his book and giving us a personal feel for his relationship with the band and music that has been nearly lifelong. It also provides a quick, but important critique of modern music writing that is a must read for anyone (this reviewer included) who wants to be an authentic voice in musical journalism. The chapters are divided into small bios of the band members, crossed with succinct but erudite studies of the various musicalities. While getting the story of the “youngest Youngs” Malcolm and Angus and their rise to iconic status, we also get a fine analysis of their guitar method and idiosyncrasies. 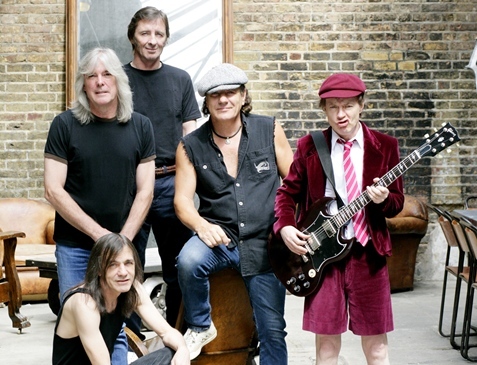 What comes across is the surprising quality of brotherly support that is not only at the heart of AC/DC’s professional success, but also their self-taught musical skill; skill that can be lost in the visceral impact of the songs themselves. When telling the truth-is-stranger-than-fiction tale of Bon Scott and the transition to Brian Johnson, Bozza not only grants us an immerse sense of the musical history behind the band, but we get a physiology lesson in hard rock singing. Continuing through Mark Evans, Cliff Williams and the amazing Phil Rudd, he manages to deconstruct AC/DC’s music without killing the magic. The book ends with a heartfelt ode to the fans who have stood by this band for 36 years, providing a sense of continuity that provides an excellent case study in AC/DC of the massive changes to the music industry; massive changes the band has navigated with an unrelenting forward momentum based on honest, blood & guts, rock & roll integrity. 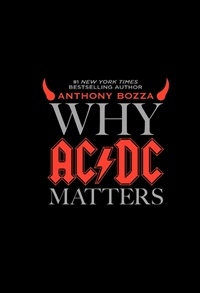 Bozza loves AC/DC, and with this short, gut punch of a book, he proves you should to. For those about to rock… read this book! It’s almost a year away, but that didn’t stop the folks at Rolling Stone from throwing out the names of a few potential acts to follow in Bruce Springsteen’s footsteps. It’s a tall order to fill: applicants must be legendary but still active, rocking but not raucous, and as big as the game itself. So who’s left? Oddsmakers are already lining up favorites for next year’s Lombardi Trophy (The Patriots? Really? No love for your new champs, the Pittsburgh Steelers? Your loss, Vegas. ), so we thought we’d set the odds for next year’s halftime show. The NFL could go country (Tim McGraw? Taylor Swift?) or pop (Kelly Clarkson will soon return to us), but you have to presume they’ll stick with what works — big rock from big names. We have, of course, completely pulled these names and numbers out of thin air, plus gambling’s illegal just about everywhere, so keep your money in your wallet. Pros: Legendary band with a sound louder than the game itself. Cons: None. They’re the Who. In addition to the magazine’s suggestions — The Who (solid), Bon Jovi (solid), AC/DC (too hard), John Mellencamp (solid), Metallica (too hard), Van Halen (maybe), Nickelback (why? ), Green Day (big enough profile? ), Foo Fighters (see Green Day), Jay-Z (didn’t he retire?) — I’ll throw a few out there as well: Bob Seger, Neil Diamond, Fleetwood Mac, Eric Clapton, the Black Crowes, the Eagles and the Steve Miller Band. Who do you think should provide the halftime entertainment next year?